HARA is go for launch March 15th at Bragg Farms! We are go for launch! 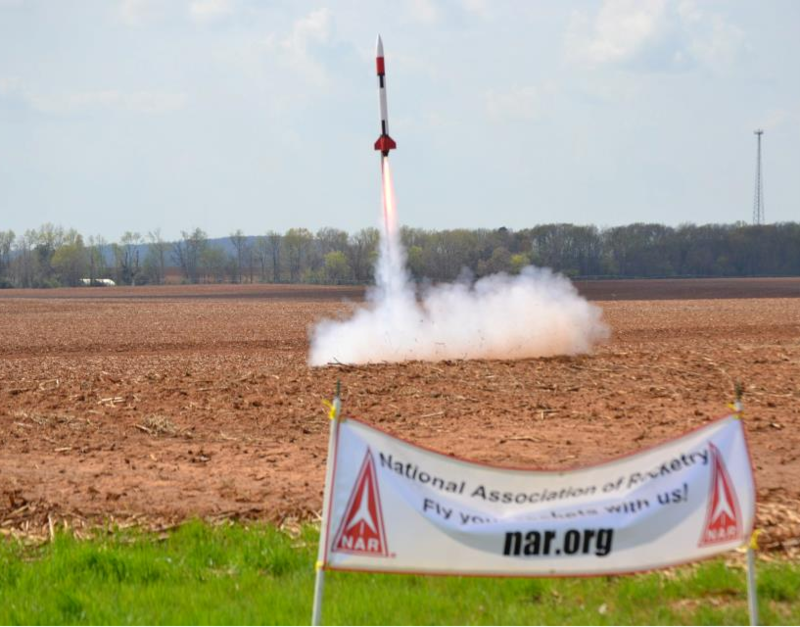 HARA welcomes TARC teams from around the Tennessee valley and the public to participate in low and mid power rocket flights tomorrow (March 15th) at Bragg Farms. 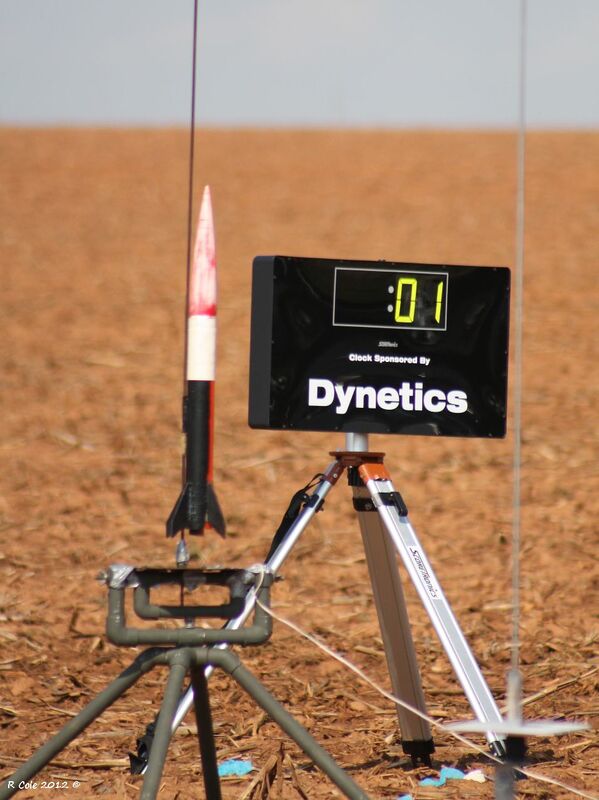 High power rocket flights are restricted at Bragg Farms. We will target a start time of 10am, but we may start earlier or later depending on rage setup and the weather. Enter Bragg Farms from Grimwood Rd on a dirt road. The road turns left then right. You will pass between barns with large harvesting equipment and their may be farming related activities in that area so please be mindful as you enter the area. Carry on down the dirt road into the field. Park off of the dirt road on the grass to the right. You are welcome to bring coolers with snacks and drinks, and some chairs. There will not be a motor vendor, so be prepared. Stay tuned to the website and facebook for updates on the launch. See you there! Westminster Christian Academy won the regional TARC contest March 17, 2012 in the best attended launch since HARA began hosting the event at Bragg’s farm. 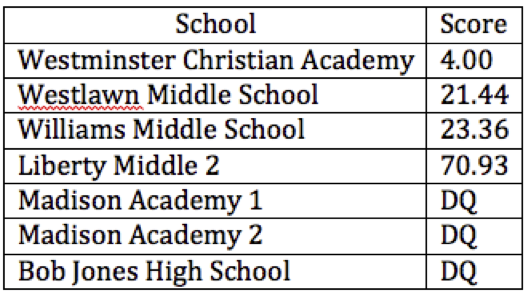 Westminster Christian has been in TARC since 2006 with only modest results each year, but this team scored a ‘4’ for a school record. These points are likely good enough for an invitation to the finals in Virginia, May 12. Westlawn Middle School took second place and Williams Middle was third. Ten teams from seven schools participated and flew their egg carrying rockets in unseasonably warm and calm skies. This was twice the number of teams that came out last year so we thank everyone for supporting this very successful launch. There were a total of twenty-five TARC flights, most of which were for practice but ten were formal qualification attempts. Six flights were successful and scored points. Liberty Middle 1 and Ridgeland High of Rossville, Ga. made practice flights only. 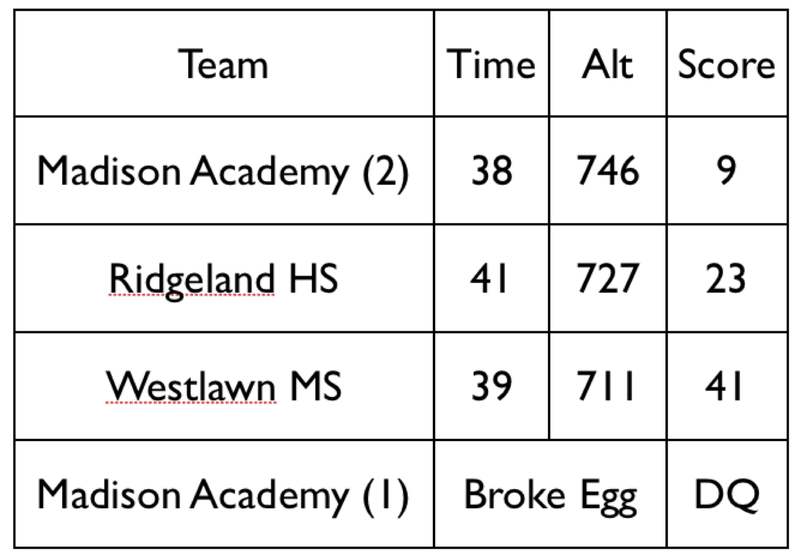 Ridgeland’s second flight was great and would have been a ’27,’ but rocket damage in a subsequent flight kept them from attempting points. Madison Academy had parachute deployment problems and Bob Jones had an uncooperative altimeter. All capsules contained two eggs and had to be flown on an “F” motor or less. The target altitude was 800’ but those flights that hit the 43-47 second duration window were rewarded with a zero time deduction. 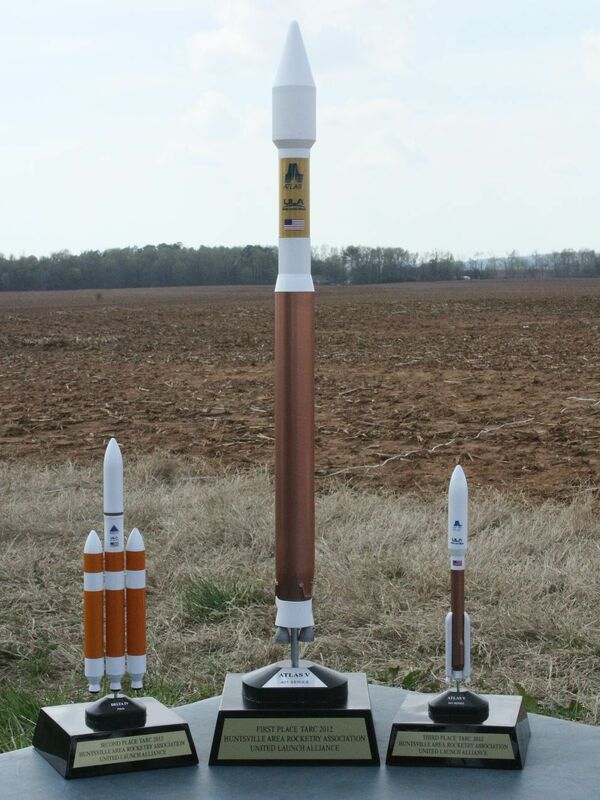 The trophies were beautiful models donated by United Launch Alliance and were awarded to the top three places. Over seventy people were on hand to watch the launches. Vince Huegele and Bill Cooke provided the local officiating to qualify the flights as well as mentoring the teams throughout the year. Teams have until the deadline on April 2 to complete their qualification attempts. Vince Huegele presents the first place award to Westminster Christian Academy team members Charles Nottingham, Nicholas Kromann (Team Lead), Ben Cyr, and Shane Nelson. Ray Cole and David Bishop also had the HARA range set up for whatever members wanted to fly. There were 27 sport flights, nine of which were HP and three of them L1 certification attempts. 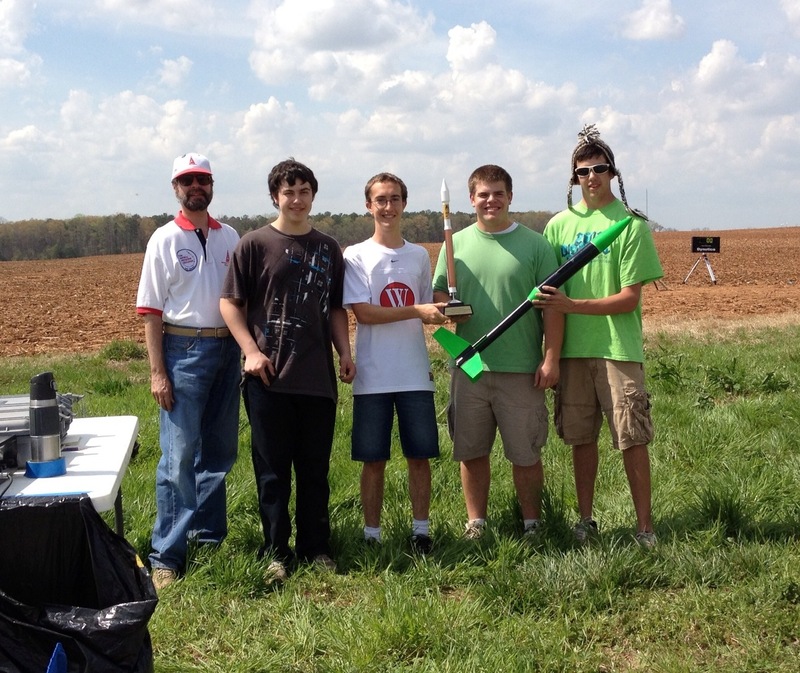 The winner of the third annual TARC regional qualification launch hosted by HARA at Bragg Farm 3/19/11 may have a score good enough to take them to the nationals. Madison Academy got into the single digits with a ‘9,’ which usually is in the top one hundred and means a trip to Manassas. Madison Academy had two teams this year who were both making their attempts in this event. Team two got on the board first with a ’61’, and then team one went a bit high and broke their egg. Ridgeland HS from Georgia returned to fly with HARA this year to hit a ’23’ on their first attempt, but dropped to a ’39’ on the second try. Westlawn MS qualified for third place with a ’41’. All teams made numerous practice flights to keep the sky busy, with one team scoring an unofficial ‘6’ that didn’t count. MA’s team two got their ‘9’ on their second qual attempt. All egg capsules had to be recovered on a 15″ diameter parachute. The target altitude this year was 750′ but those flights that hit the 40-45 second duration window were rewarded with a zero time deduction. Tanner HS attended and made one practice flight. Plaques were awarded to the top three places. Over fifty people were on hand to watch the launches in the best weather the regional event has had since it began two years ago. Vince Huegele and Bill Cooke provided the local officiating to qualify the flights as well as mentoring the teams throughout the year. If a team’s score is one of the top 100 best in the country, the team is invited on April 8 to compete for a share of the $60,000 prize package in a national fly-off in Virginia on May 14. HARA has supported TARC since it began in 2003 and has coached five teams into the finals. The 2009 TARC season is essentially over; all that’s left is the Nationals at Manassas on May 16, where once again Stone Middle will represent the state of Alabama. It’s a triumph for their team, who made good use of a simple, effective strategy. One much more effective than the one I employed this year. Being more complex, it led to the eventual destruction of my rocket and reminded this aging geezer of the value of the K.I.S.S. (Keep It Simple, Stupid) principle. However, 5 motors are awfully hard to light simultaneously with Estes igniters and a clip whip. 4 I could do consistently, but 5… Well, let’s just say when the core E9 doesn’t ignite, it’s going to be a bad day. However, the plot above does show that I would have come very near my mark had I gotten the E9, 2 C6’s, and 2 A10’s to pull together on lift off. This provides some small consolation as I stare at the pieces of my rocket sticking out of the garbage can. Once they had made 3 or 4 flights, they had enough points to easily determine the amount of weight needed to reach the target altitude. Like I said, an effective strategy, and more importantly, a simple one. The K.I.S.S. principle has been vindicated once more. Consistently attend the TARC classes offered by HARA. 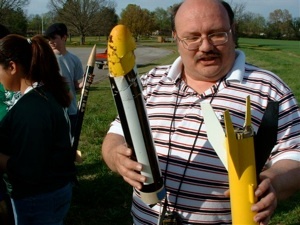 Use good construction techniques on your rocket; for example, avoid using super glue or tape to attach fins or launch lugs. Using the K.I.S.S. 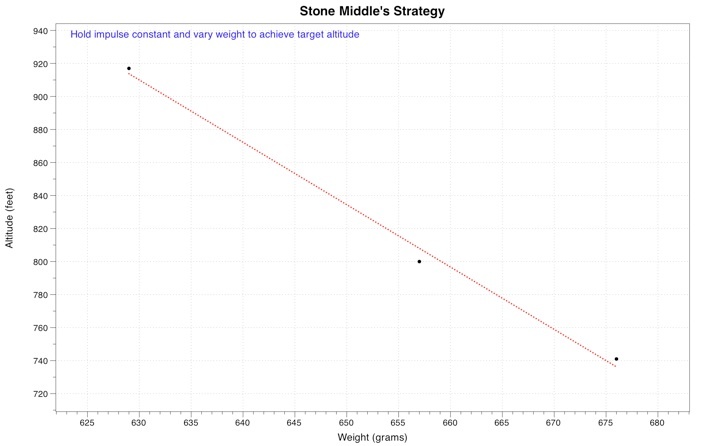 principle, come up with a strategy for achieving the contest goals. I focussed on the altitude here, but you also need one for the duration mark. 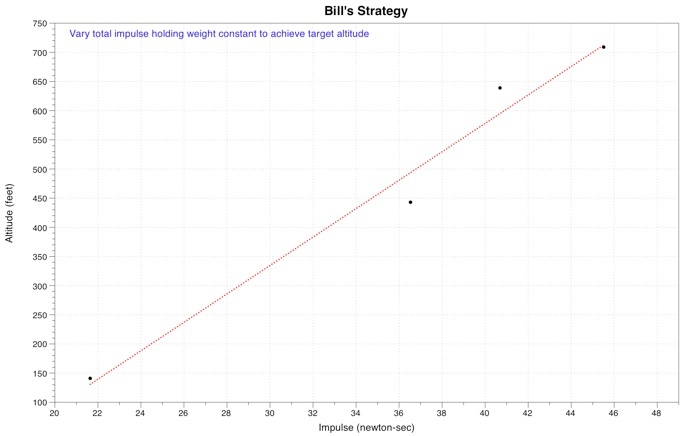 Make several practice flights, enough to “dial in” the altitude and duration by adjusting some aspect(s) of the rocket. Don’t wait till the last week or two to start practicing. Stay away from 5 motor clusters!